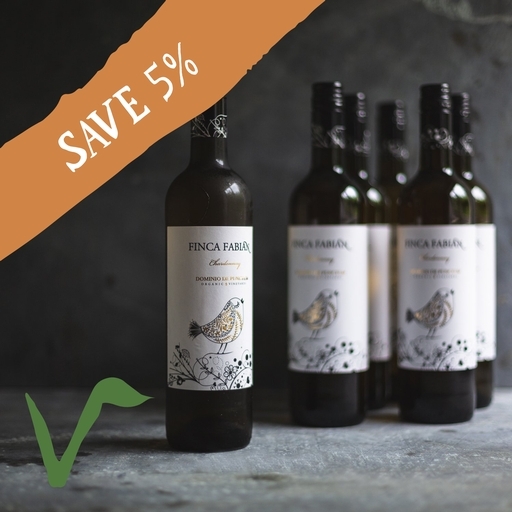 Finca Fabian organic chardonnay from a family-owned Spanish winery. Unoaked and delightfully light and fresh, with crisp green apple and pineapple flavours. We’re fans – this is the house white in our restaurant The Riverford Field Kitchen. It’s good on its own, or to drink with seafood, chicken, fish or veg. Dominio de Punctum, is a family owned estate and winery in the south east of La Mancha, half way between Madrid and Valencia. High altitude (750m) and cool nights keep the grapes fresh and vibrant. Careful, modern winemaking make them into lovely, great value wines. They’re the house wines in our restaurant The Riverford Field Kitchen.